Courtesy of WOWSA, Baan Amper Beach, Thailand. 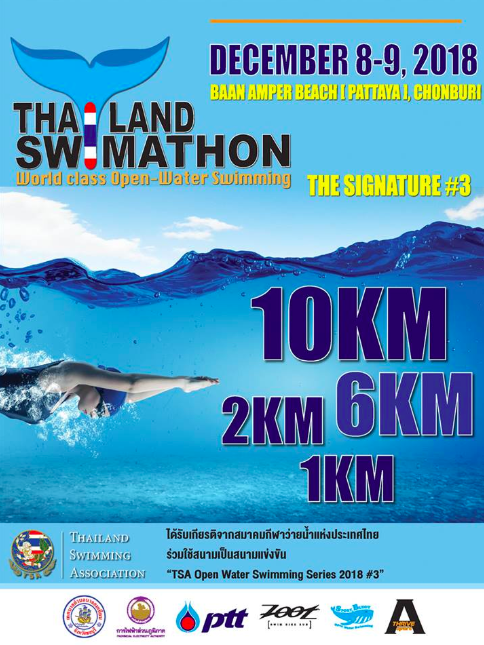 The Thailand Swimming Association Open Water Swimming Series is a series of open water competitions that run from this weekend through December and includes the Thailand Swimathon held on the unspoiled beautiful coastline on Baan Amper Beach in Pattaya, Chonburi. Sponsored by the Thailand Swimming Association, the distances vary from 1 km to 10 km.